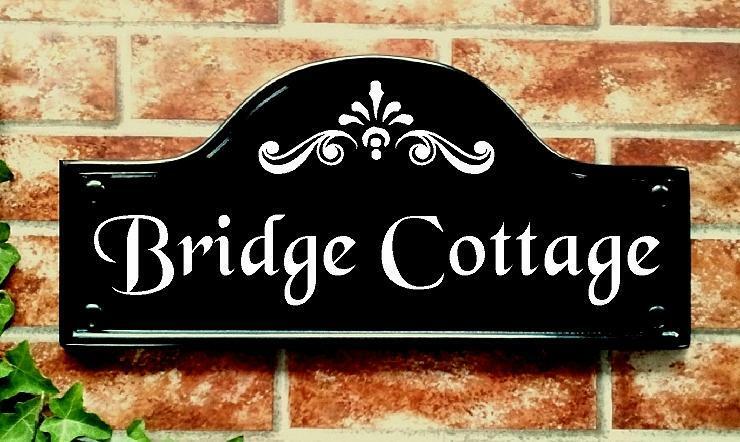 Night reflective bridge top shaped large house name plaque. 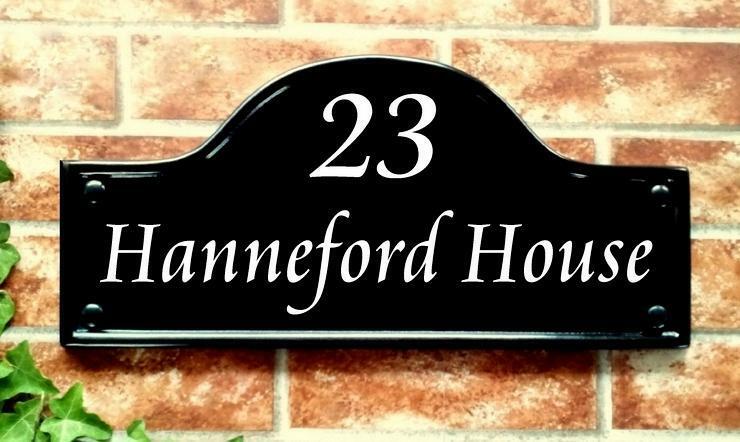 Elegant, tough and durable it is suitable to be personalized with house names or for numbers with address lines. 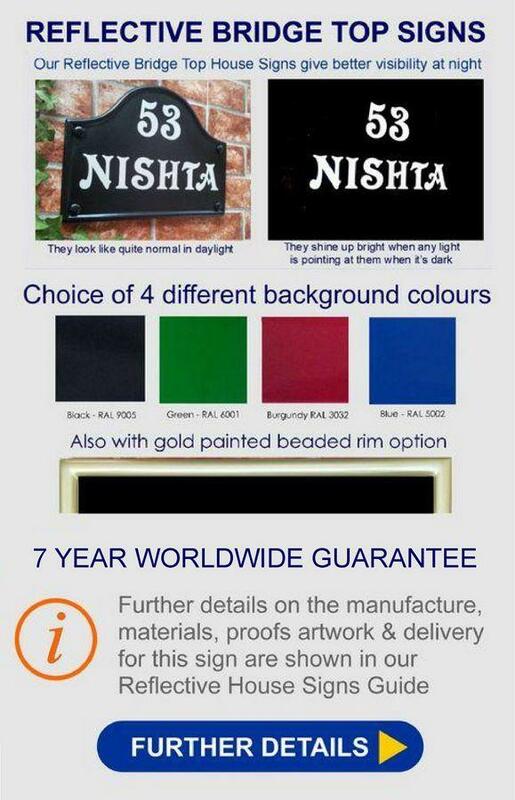 Alternative decorative scrolls can be requested for the top of the arch when a number is not desired. Just to let you know our house sign VILLA ROMANTIQUE arrived in NZ today and we are just thrilled with it. Your workmanship is just first class and it will look stunning on the front of our villa, where it will be seen. Thank you once again for doing this for us. 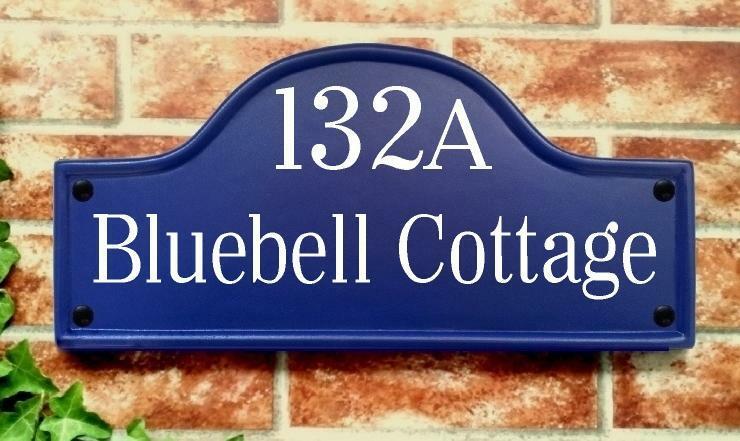 We have received our house sign and we are delighted with it - many thanks! I have tried to post a review on your website but for some reason it won't confirm acceptance! You may be able to pick it up. House sign received and now on wall. As it is so easy to see it helps people to find the neighbours at nos, 2, 6 8 and 10 as they can quickly count down from the easily seen No 4. Thank you. Just a note to let you know how pleased we are with the sign you made for us. Thank you for an excellent service. Thank you so much - we are absolutely delighted with our sign. 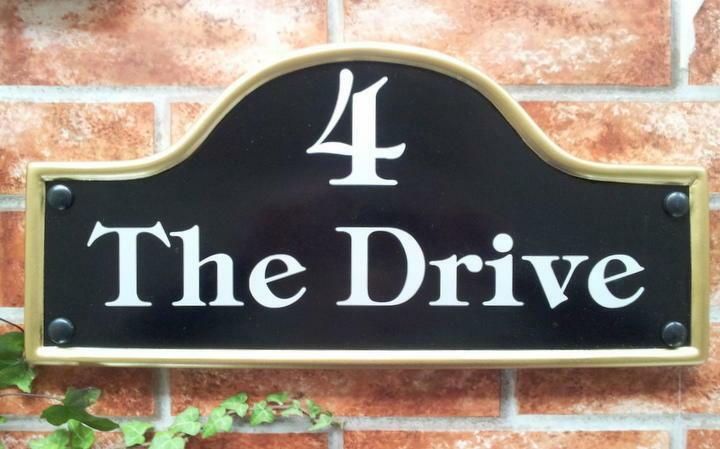 Bonsoir.. just to let you know my house sign arrived today. I am very happy with the end result and thank you. Will have no hesitation in recommending your co. to my friends. 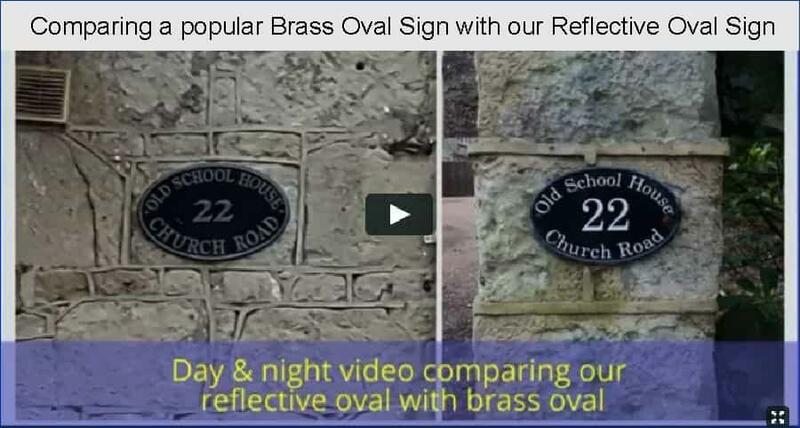 Thank you again - cant wait for the new gate to be finished so i can show it off. Many thanks again. This website is Copyright © 2018. 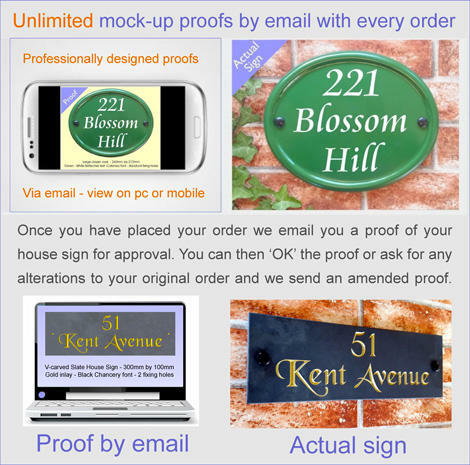 Yoursigns Ltd All Rights Reserved.